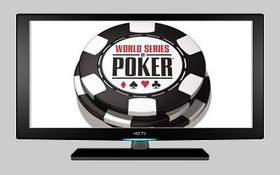 In a huge announcement that could bring televised poker into a new era, ESPN has announced expanded coverage for the 2011 World Series of Poker, including 34 additional hours of Main Event coverage that will be broadcast nearly live, with a 30-minute delay mainly on ESPN 2. The “live” hole-card coverage will be on a 30 minute delay, and will only be used for hands that make it to the flop –players hole cards will not be shown pre-flop. For more details on the upcoming ESPN coverage and further information on the hole-card delay you can check out the press release by ESPN. This entry was posted on Friday, May 6th, 2011 at 12:57 pm and is filed under Poker News. You can follow any responses to this entry through the RSS 2.0 feed. You can leave a response, or trackback from your own site.